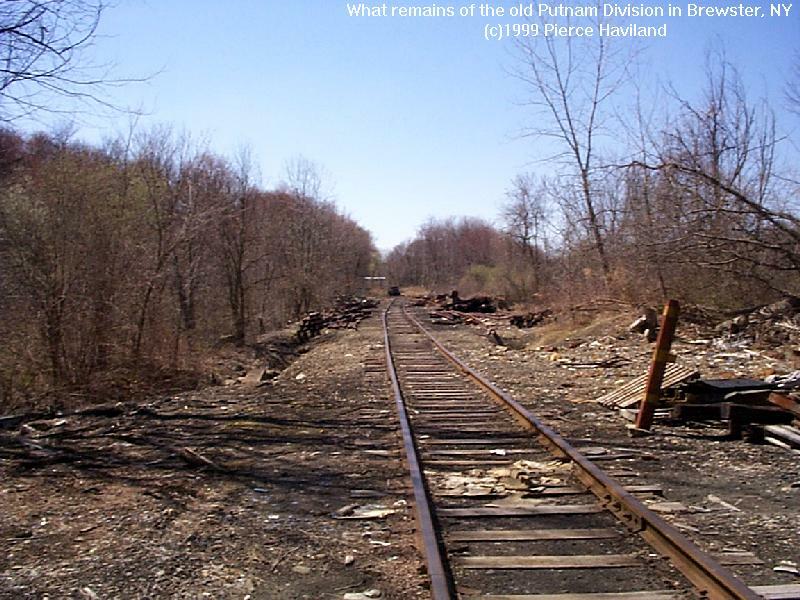 MENTION OF THE PUTNAM DIVISION TO MOST ANY RAILFAN, and you will get a look of instant recognition, followed by some remark such as, "Gee, I used to ride the right of way along Route 100 on my bike when I was a kid." There is a strong network of data on the former New York Central line, not to mention a great reference book (by New Rochelle resident Dan Gallo). There is much appeal for the simple single-track line that ran as a second-cousin to the over-brimming Hudson and Harlem Divisions. While the last passenger train turned a wheel on the Put in 1958 (and on the upper shuttle in 1959), the Put lasted as a freight route into the 1970s. The last major freight customer was the Stella Dorro factory in the Bronx. The only parts surviving today are short stubs at the north and south ends which serve in various capacities as storage tracks and turning wyes. ...The last passenger train on the Putnam Division was run May 1958. A shuttle train that ran from Golden's Bridge, "around-the-horn" to Lake Mahopac, Mahopac, Tilly Foster, Carmel, and Brewster continued to run (as Harlem Division trains) until 1959. In 1962, the middle of the Put from East View to Carmel was removed by a private contractor. As such, parts of Route 100 were restored on the right-of-way, especially where it parallels the Taconic Parkway. The last freight movement on the Put was the pick-up of an empty boxcar from Creed Bros. Lumber in Yorktown Heights in 1970. An unauthorized move occurred in 1975 when two teenagers stole a switcher from the Brewster yards and ran it up the Put until it rammed a fallen tree at Carmel. The case was not closed until years later. ...The south end of the Put withered away to near nothing. Claimed by Conrail as the Putnam Industrial Track, it served a couple of customers in the Bronx and Yonkers until about 1980. The tracks in the Bronx were removed sometime in the late 1980's. 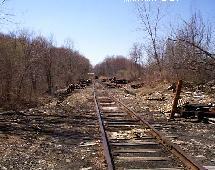 The track paralleling the Saw Mill Parkway were removed in sections for use as a bike trail, although some isolated sections remain in hard-to-reach areas. Metro-North continues to operate the last sections of the Put. The remaining trackage in Brewster is used as a yard storage track for weekend trains. ...Some of the Put's earliest backers were approached by the Erie Railroad in the late 1800's. The Erie already had a branch down to the Hudson River at Newburgh for shipping coal across the river on barges. Their idea was to expand on this idea, and to build a giant swing bridge across the Hudson, and have the Put meet the Erie line at Garrison. That way, Erie trains could access New York directly. A hundred years later, proposals have come from the MTA to do nearly the same thing: in the interest of building a line to Stewart AFB Airport, one idea was to construct a new railroad tunnel at Garrison. ...Two things killed the Put- the single-tracking of the River Division (West Shore Railroad), and the lack of improved commuter parking areas. Before the River Division was single tracked in 1959, the Put was used to bring high-and-wide loads into the city. It's single track line and lack of obstructions were perfectly suited for such a job. Odd lots were routed to Chatham, then to Put Junction, then down the Put to High Bridge, where they would eventually end up on the West Side Freight Line. Many of the communities that were served by the Put were rural, and did not foresee any use for commuter parking. After the war, however, it was discovered that the situation was inadequate. In frustration, many would-be commuters opted for the close-by Hudson and Harlem Divisions. ...Full dieselization came to the put in 1951. Diesels from Lima-Hamilton were used at first, later replaced by Alco RS-2 and RS-3's as well as EMD GP7 and GP9's. Before that, the lower part of the Put was electrified with third-rail by 1920. Oddly enough, the electric MU trains operated on the Put did not run into Grand Central. Through the end, passengers continued to make the odd across-the-platform transfer to Hudson Division trains at High Bridge. Gas-electrics also made their appearances on the Put in the 1930's and 1940's. One can wonder why the Central didn't assign some of its 19-car Beeliner RDC fleet to Put service, which would have been perfect for this type of service. ...These days, there is much talk of expanding highways and airports, making private busways, and investigating new routes into New York City. Are "new" railroads out of the question? It is unfortunate that one such line now only survives as a bike trail.